Sorry, didn't mean to be gone so long. Life gets so busy sometimes. 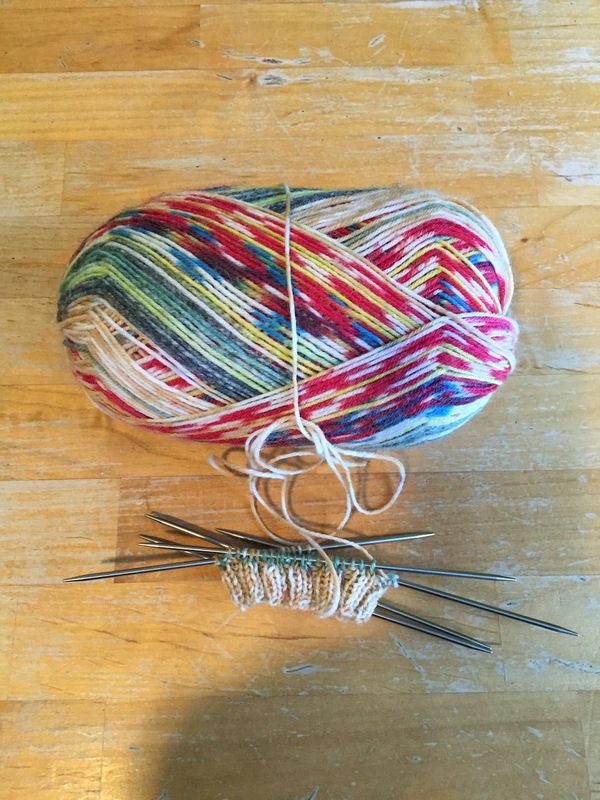 Also, I have been unable to knit very much due to repetive strain syndrome or something like that so there has been very little going on on the knitting front. 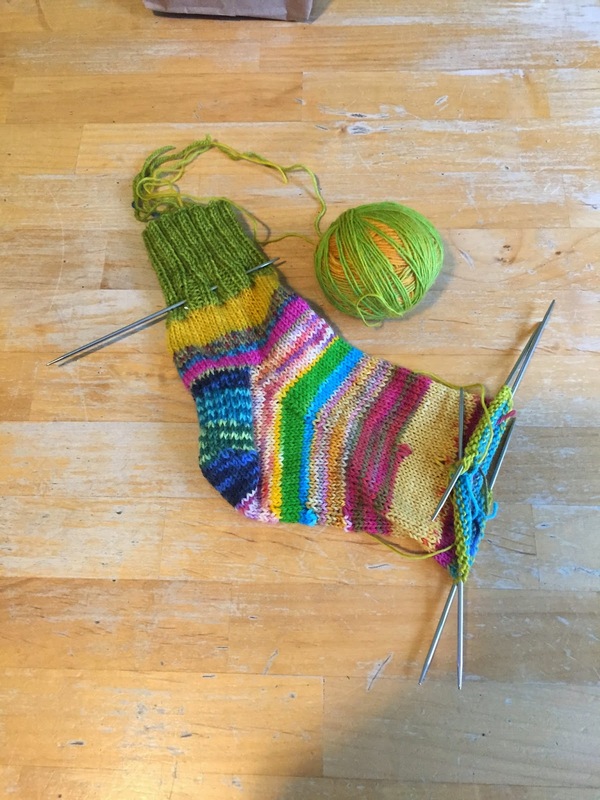 This has been very frustrating for me but one has to allow one's body time to heel and plus it really hurts to knit so there you have it. I have been working on my barn sweater, a few rows at a time. Also I don't have enough wool for this so I may put it on hold for a week or two and continue on with something else until I get to the yarn shop. I am further along than this picture shows. As always, I have socks on the needle. 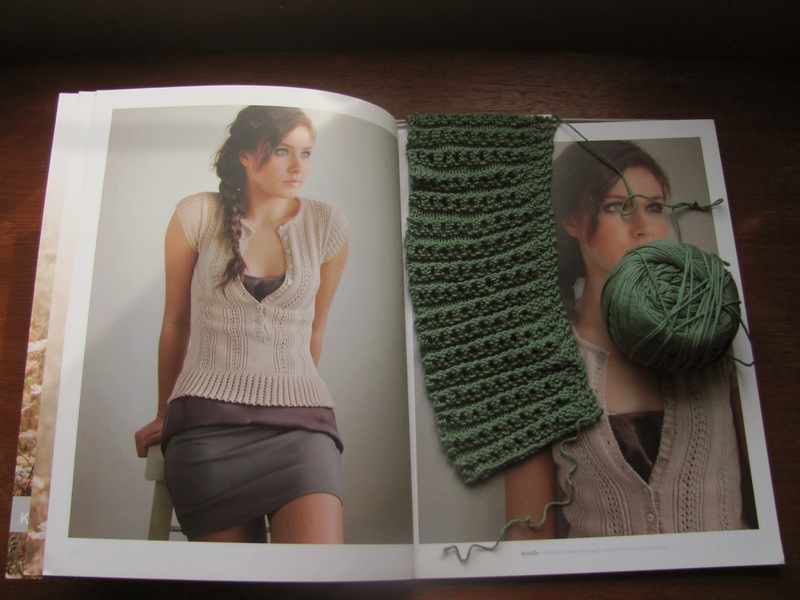 I am thinking ahead to spring and summer knitting. I don't really generally do any special knitting but I do have some Rowan Fine Cotton that has been around for years. I think I will try to use that up this summer. I think a tank top by Kim Hargreaves is in my future. 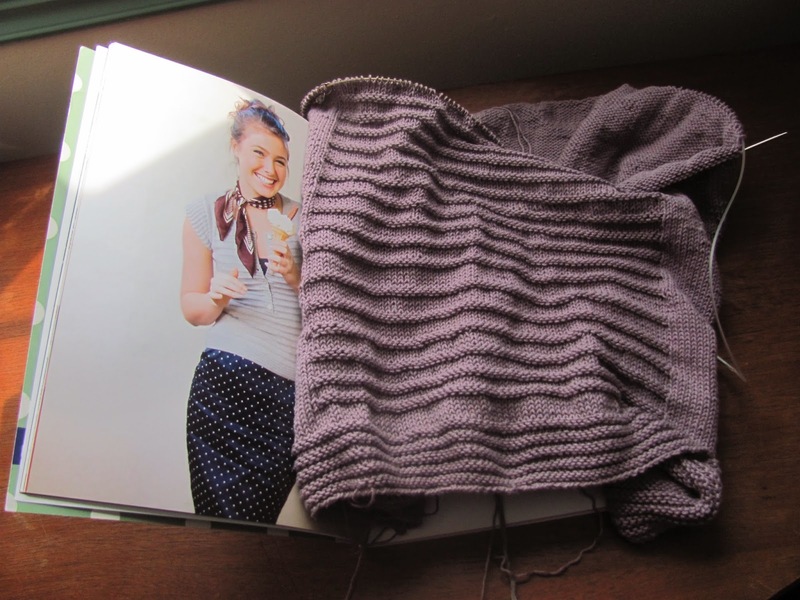 I have these two projects on the needles from last summer and did not get very far. Does anyone else have problems with Kim Hargreaves patterns. I love her designs so I am going to keep on. Also I have some Euroflax Linen that has been here for years also, so time to get it used up. No more buying until I get through some of this yarn. I think a skirt is in order. 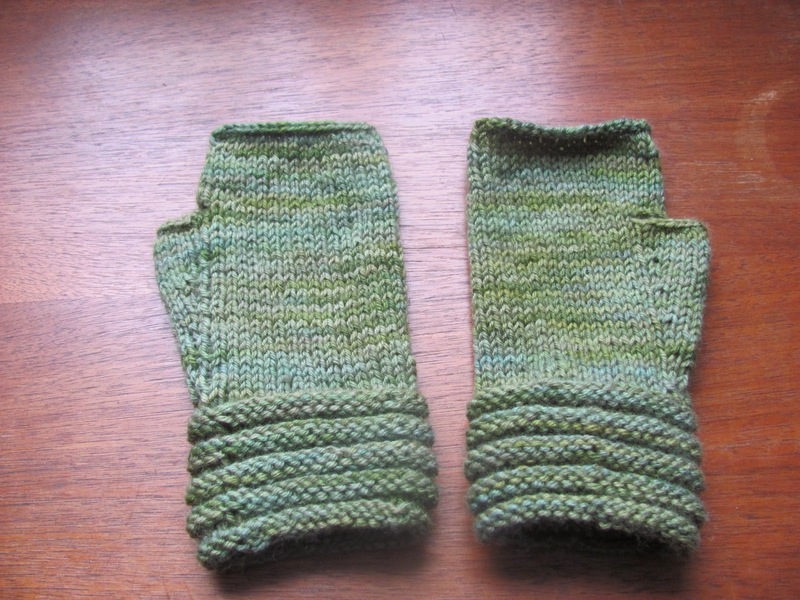 And finally, I finished the Welted fingerless mitts by Churchmouse Yarns and Teas. Well that is it around here. It has been family, work and a little bit of knitting when really I would prefer family, lots of knitting and then work.